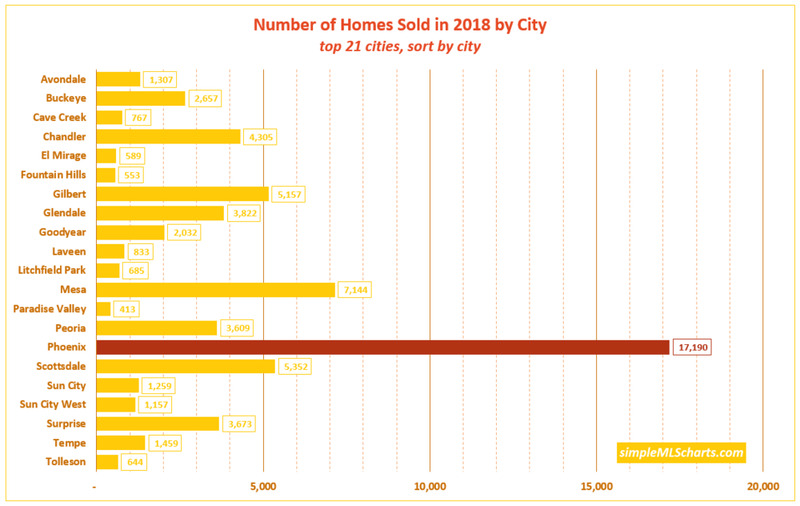 The chart slopes upwards from left to right, with the prices clearly increasing year after year. Feb ‘19 was up 10.9% YoY from Feb ‘18, which is a very large increase. 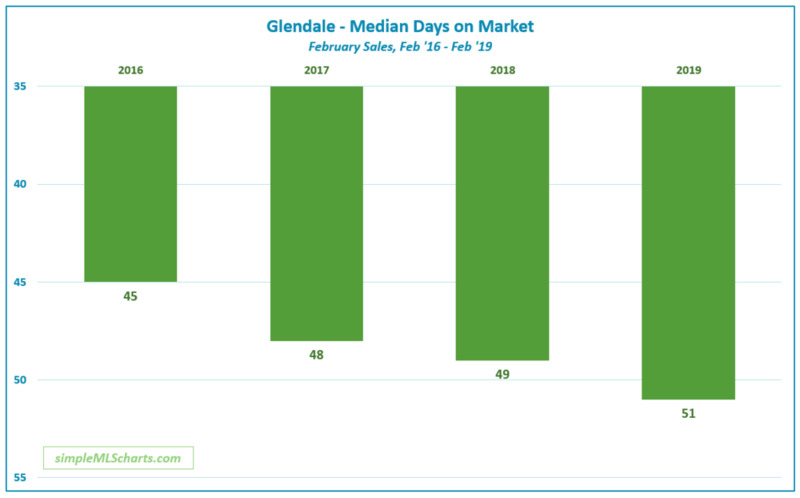 We can also see that each February the median price has been higher than the prior year’s, so there’s no question which direction the number is trending. 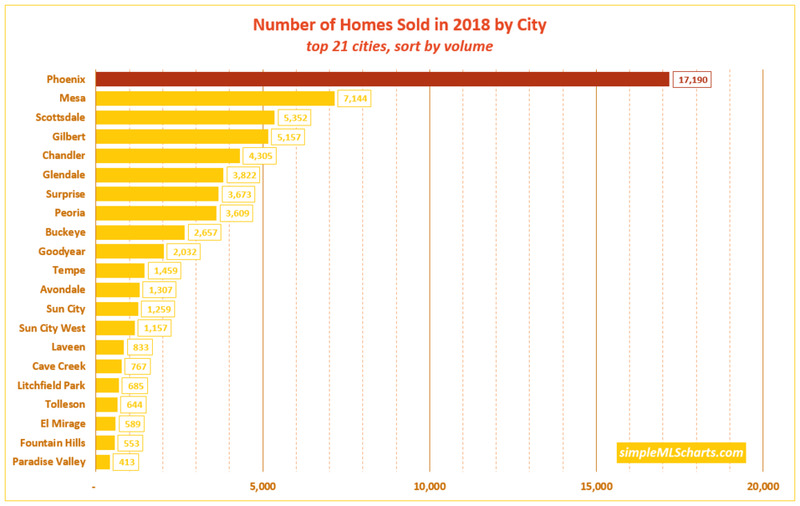 The highest median sales price in the chart was $259,900 in May ‘18. The chart shows plenty of zig-zags up and down along the way, but each time a new peak is reached, it is usually surpassed again within a couple-few months. The fact that the current peak was 10 months ago is a little disconcerting. Has the market begun losing steam? I will be keeping my eye on Glendale in the 2nd quarter to see which observation turns out to be more accurate. 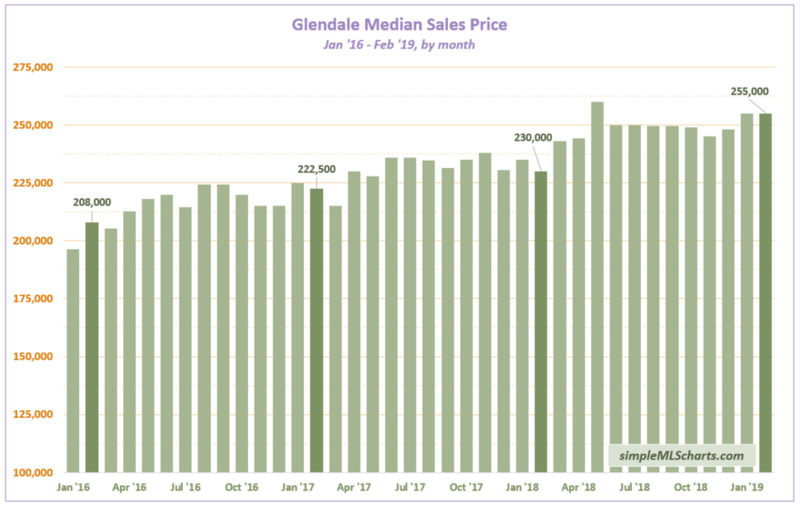 We’ve seen recently that prices in Glendale have continued to rise over the last few years. However, comparing February’s sales activity with the last few Februarys’ shows a sobering trend - the median number of days on the market for February sales has risen from 45 in Feb ‘16 to 51 days last month. A modest 13% increase over the course of 3 years can’t be considered a “market slowdown”, especially since prices have increased during that time frame. However, it’s definitely something to be aware of and to keep our eyes on. 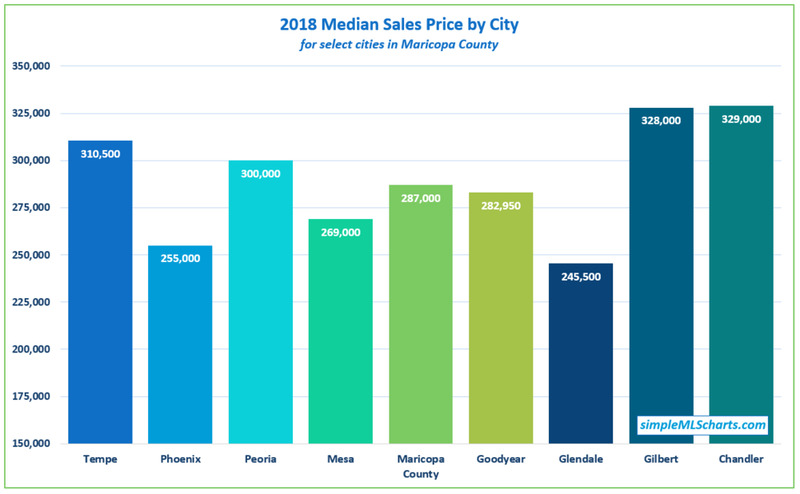 Glendale’s median sales price was $245,500 in 2018, up 6.7% from 2017’s median price of $230,000, and up 40% from the $175,000 median sales price in 2014.